The Tiffin Fire Department generously donated batteries to all of our Krout students. 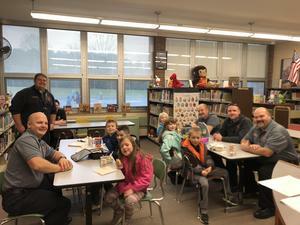 Students that replaced their old batteries were rewarded with lunch with some of our favorite fireman! Thank you Tiffin Fire Department!